Classical music: Gian Carlo Menotti’s centennial is the time to ask — How great was he as a composer? 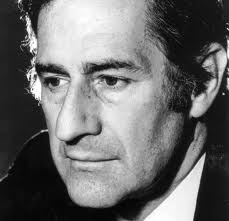 Last Thursday marked the 100th birthday of the composer Gian Carlo Menotti (below). But his reputation continues to rest primarily on his work as a pioneer in bringing opera to television and radio and in creating a certain kind of populist operas — such as the evergreen Christmas opera “Amahl and the Night Visitors” — that I also like because it wasn’t five hours long. But how good – or great — a composer is Menotti? And how great and serious is he and work now and will he be seen as in the future? Those are questions that a recent segment on NPR did fine job of exploring. What do think of Menotti’s music? Do you have a favorite Menotti work and why? Do you think Menotti is a great composer?